Israeli security forces eliminate terrorist during attempted stabbing attack in Hevron. An Arab terrorist was shot and killed Tuesday during a failed stabbing attempt in the city of Hevron, south of Jerusalem. 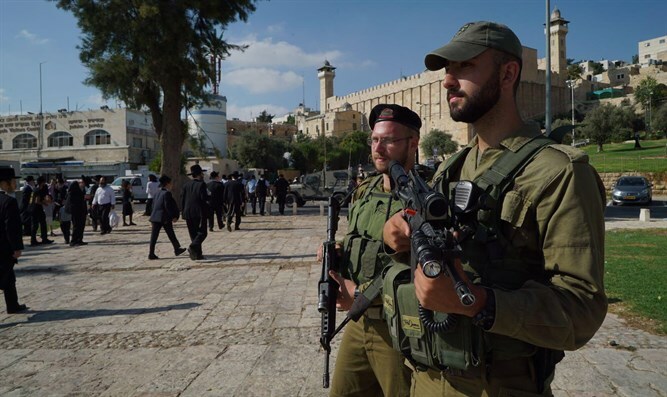 The incident occurred Tuesday just after noon at an IDF position just outside of Hevron when a Palestinian Arab terrorist armed with a knife attempted to stab several Israeli soldiers. The soldiers quickly spotted the terrorist as he approached them with the knife, and opened fire, killing him. There were no injuries reported among the Israeli security personnel at the scene.